Michael L. Carter, LUTCF began his financial services career with a major insurance company in Las Vegas, NV in 1995 and has been a resident of Southern Nevada since 1977. He holds a Bachelor of Science degree, from UNLV, majoring in both Finance and Marketing. Mike founded Carter Investment Services, to assist clients in achieving financial independence. He has earned the professional designation of Life Underwriter Training Council Fellow (LUTCF). Mike holds memberships in the Las Vegas Metro Chamber of Commerce., as an Ambassador for the Metro Chamber. 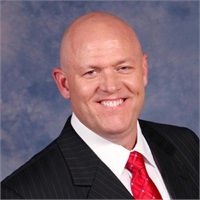 He previously served on the Board of Director's for the Southern Nevada Better Business Bureau for over 6 years and also the Clark County Law Foundation. Mike lives with his son Matt, in the Green Valley area of Henderson, NV. He enjoys golf, weightlifting, fine dining, supporting UNLV sports and being active with his family and community.